Injectables Vs. Fillers: What Are the Differences? 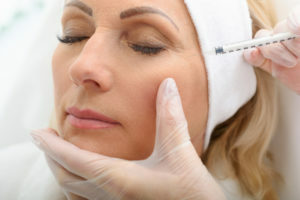 There are two kinds of injectables: fillers and neurotoxins. BOTOX® Cosmetic and Dysport® are neurotoxins. JUVÉDERM® and Restylane® are examples of fillers. Injectable fillers are used to add volume, or to fill creases and unwanted lines. Neurotoxins (like BOTOX Cosmetic). block the action of muscles which exaggerate unwanted lines. There are other injectables, such as PRP (platelet-rich-plasma), which, when administered as a series of treatments, stimulate your own collagen growth, providing filling as well as improvement of the surface texture of the skin. As more injectables are developed, new categories may need to be created. What you should know about cosmetic injectables is how they can help you achieve your goals. Each product, whether filler or neurotoxin, offers unique benefits. Dr. Richard Zeff and our extensively trained medical team can help you determine which injectable (s) is right for you. Talk to us today to learn more.